In case you missed it, I had a post on Emulsive about the enduring power of a printed photograph. Check it out. Excited for the baseball season? Nope, don't really care about that. I get excited for the photography season. When I was young and could indulge in such fanciful notions, I had this idea of aligning my photo season with the baseball season. Getting a problem wrong and then right. From the Archives: Reading the signs on Allens Ave.
"Give me your license and meet me there". I use the word "paean" and mean it. I wrote a little piece about one of my favorite materials for Emulsive. Sketches towards a photo essay on the doomed Fogarty building, Fountain Street, Providence. Editing a project for a show or a book has it's stages, from shooting, which may continue well into the editing stage, to the initial selection from contact sheets, printing, sequencing, more printing and then on to book layout or exhibition hanging. When it comes to sequencing, I've found no better way than working with actual prints, laid out on the table or the floor, shuffling and shifting until the rhythm is right. Digital or film, it doesn't matter, you need the space to see it all together flowing from one image to the next. The hardest aspect of any edit is the cutting away of things you like and have become attached to. It starts out fairly easily but eventually you get to where it hurts, and you agonize over each choice. But choose you must and (hopefully) the sequence shows you what it needs most. The deadline looms, you convince yourself it's right and up it goes. On the wall for all to see. You pack up the outtakes, hang the show, make the book and move on. Sometimes those outtakes linger with you, like ghosts popping in unexpectedly until finally you go back to that box and have a visit. Some, you admit you still like. Some give you ideas for new work. Thanks to the miracle of modern digital media you can put them up and excise your ghosts. And so I shall. These are outtakes from Canonicus' Bow. 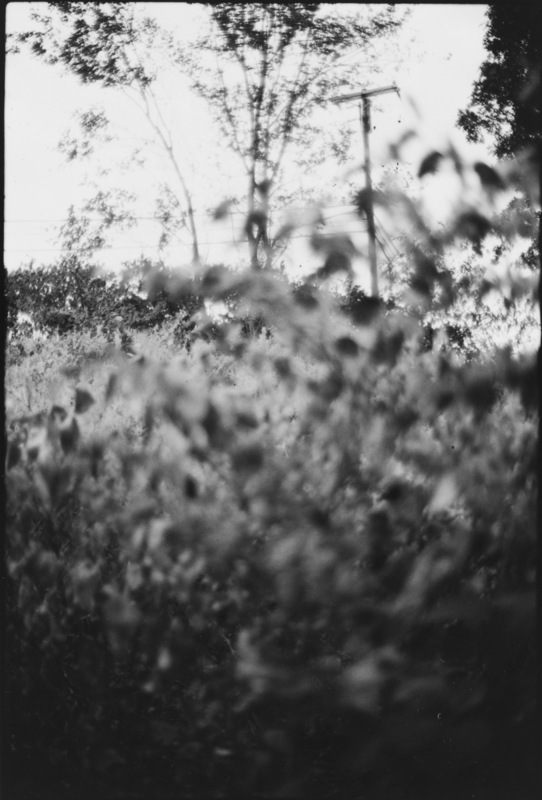 When developing film, vary dilution with HC-110, not time and get the contrast you want.